I watched the first three episodes of HBO&apos;s excellent John Adams series today, and while looking forward to episode four tomorrow, I thought to myself about Senator Clinton&apos;s anti-intellectual attack on Sen. Obama&apos;s oratory as "just words". 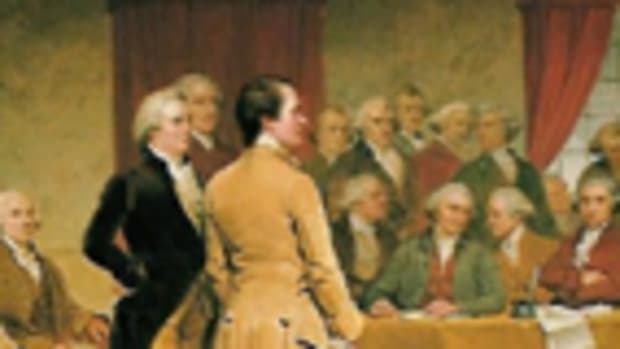 Much of the first and second Continental Congress and its work product - the Declaration of Independence - was flowery and forceful debate and oratory. It happened to be about fundamental issues that caused a global earthquake that reverberated in the formation of America, but under the Clinton formula it would boil down to "just words". When in the Course of human events, it becomes necessary for one people to dissolve the political bands which have connected them with another, and to assume among the powers of the earth, the separate and equal station to which the Laws of Nature and of Nature&apos;s God entitle them, a decent respect to the opinions of mankind requires that they should declare the causes which impel them to the separation. Shouldn&apos;t every American be on the side of "just words"?